Rome Monument specializes in designing monuments and grave markers made from black granite that come in a variety of shapes and sizes and incorporate artwork, etchings, engravings, bas relief, and sculpted elements in the design. Our high quality, durable black granite headstones are often chosen for their polished sheen which reflects the natural surroundings of the cemetery or graveyard. 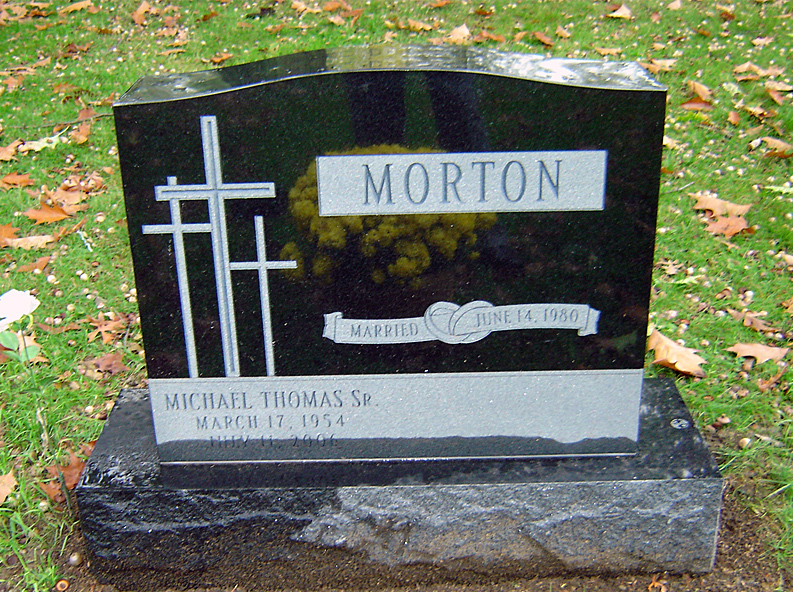 The high contrast etched, carved or engraved artwork designs also make this granite color a popular option! If you find a monument or memorial design that you like you can add it “My Family's Favorite Designs”, share the design on social media, email the design to a family member, request a price estimate and much more. To schedule a meeting in a showroom to discuss a design call 724-770-0100 or click here to contact us.